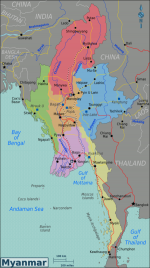 Language: Official – Myanmar. Other Minority Languages are also in use. GDP Growth: Agriculture is the Most Important Economic Sector, accounting for almost Half of the Nation’s GDP and providing 60 percentage of the employment in the country. Capital: Naypyidaw, located in Mandalay Division, approximately 320 Kilometers North of Yangon, located near to Yangon-Mandalay Railroad.